Great American Steamboat Company, a new Memphis-based company starting steamboat voyages on the Mississippi and Ohio rivers, has selected GodwinGroup to provide branding and launch support. The Great American Steamboat Company began business operations in August with the acquisition of the American Queen. 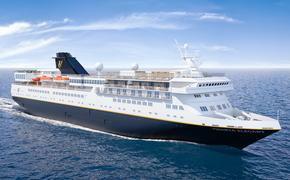 In spring 2012, the Great American Steamboat Company will offer voyages ranging from three to 10 nights, departing from cities such as New Orleans, St. Louis, Minneapolis/St. Paul, Cincinnati, and Pittsburgh. “We selected GodwinGroup based on their proven track record of working with other leaders within the tourism industry, including previous work on behalf of the fabled Delta Queen Steamboat Company,” said Christopher Kyte, president of Great American Steamboat Company. GodwinGroup is headquartered in Jackson, Miss., and has offices on the Gulf Coast. For more information, www.greatamericansteamboatcompany.com or www.godwin.com.